Father Reynolds: What are you doing? What is this? Sam Winchester: Uh, Father, please. I can explain. Um... Actually, maybe I can't. This is a - a séance. Father Reynolds: A séance? Young man, you are in the House of God. 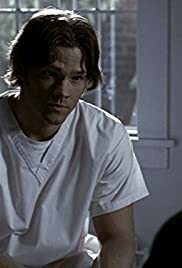 Sam Winchester: [Apologetic] It's based on early Christian rites, if that helps any.